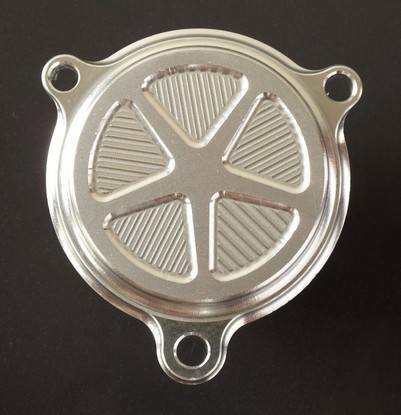 CNC machined star pattern billet alloy oil filter cover to fit the Yamaha SR500, SR400, SR250, SRX, XT500, XT600, & TT500. 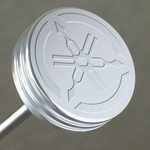 CNC machined star pattern billet alloy oil filter cover to fit the Yamaha SR500, SR400, SR250, SRX, XT500, XT550, XT600, & TT500. This cover does not have a bleed screw.